The NBA’s best team of the last 15 years? 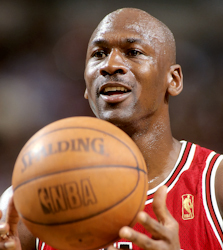 A certain basketball player from Chicago, Michael Jordan, retired from the NBA (and as a member of the Chicago Bulls) in 1999 (he later played two seasons in Washington). Up until that date, Jordan and the Bulls had quite a run in the NBA: from 1984-85 to 1997-98, Jordan and the Bulls won six NBA titles, made the playoffs every year and won 50 or more games on nine occasions. During that 14-year period, the Bulls were the best team in the NBA. Since Jordan’s departure from the Bulls after the 1997-98 season, a couple of teams have made a significant statement that they have been the best team in the NBA in the past 15 years. The Los Angeles Lakers have made a pretty good case as the best team since 1998 with five NBA titles. Close behind are the San Antonio Spurs who have won four titles. The Miami Heat with two titles and Detroit, Boston and Dallas with one title each are the other teams who have won NBA championships since Jordan and the Bulls last won in 1998. So, let’s look at regular-season wins and losses over the past 15 seasons. First, here’s a quick quiz for you: Can you name the six NBA franchises that have the best regular-season winning percentages in the past 15 seasons? Don’t read on just yet… see if you can name the six before you read on. You can make a good case for the Lakers as the best team over the past 15 years with those five titles. But in looking at regular season winning percentage, the Spurs in the last 15 seasons have 71 more wins than their closest competitor; and they have four titles to go with the best winning percentage over that same timeframe. It’s hard not to call the San Antonio Spurs the best franchises in the NBA over the past 15 years.